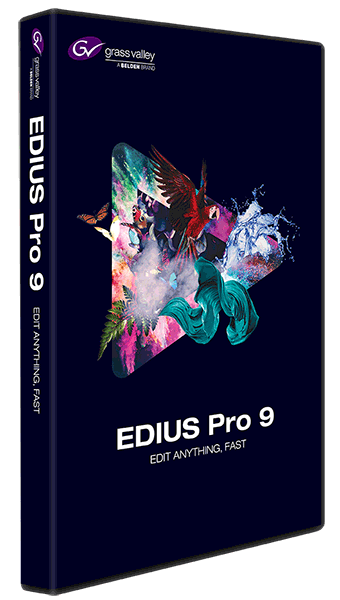 We build custom performance computers for video editing complete with Grass Valley EDIUS video editing software and Blackmagic Decklink hardware options. Purchasing a new computer for EDIUS from Antons Video Productions will entitle you to free support and basic training. One on one hands on training sessions are available. All computers are performance tuned to suit EDIUS. All parts are covered by 12 months warranty and hard disks are covered with 5 years and SSD 10 years warranty. We only use Samsung Pro series SSD Solid State Storage for the operating system which results in an access time of only 0.08 milliseconds and a read speed of 530 MB/sec and 3000 MB/sec with M.2 SSD storage. Memory options of 16GB to 64GB. We use Corsair CPU Water Cooling. We use Nvidia based graphics cards and we suggest Raid5 using a minimum of four Western Digital RE4 Enterprise drives for video storage. Our preferred PC case is Fractal Design ARC Midi R2 or the extra large case Define XL R2 which allows for more burners such as four Pioneer BDR-209 Blu-ray/DVD burners. Our custom built computers achieve the top score of 7.9 in all aspects of the Windows Performance Index. We use Win10 Pro or Win7 Pro as long as there is stock. Full version and upgrade version serial numbers always in stock for email delivery, so you can unlock the trial version as soon as you wish and register your product online. Also available with Blackmagic DeckLink Hardware. Contact us for any of the above or a complete turnkey system.